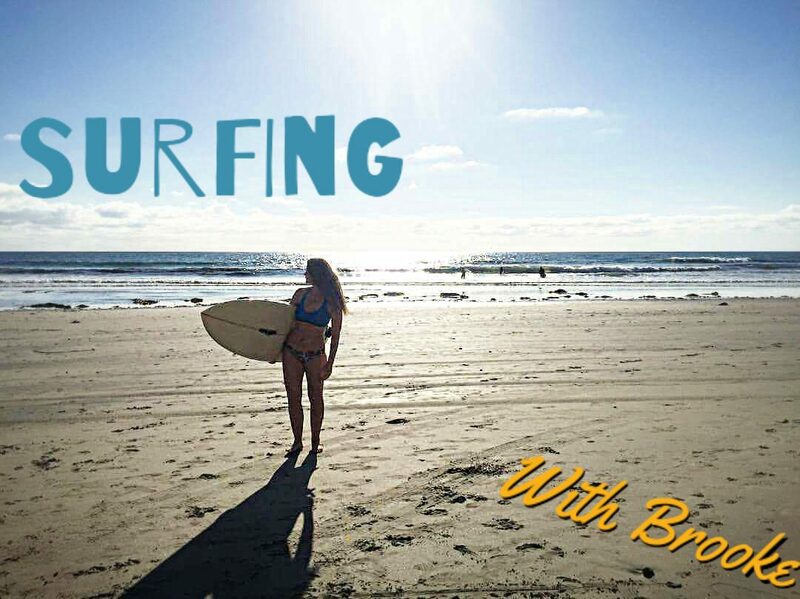 Surfing etiquette ties directly to keeping you and other surfers safe while cruising the waves. Common sense plays a role in etiquette and safety but there are guidelines specific to surfing that I will lay out in this post. The dangers of surfing can be serious but stay alert and aware of your surroundings and you will be just fine. Following this advice will help you keep your surfing friends and avoid getting those gnarly dirty looks that make you want to hide under the seaweed and quit. But you won’t hide or quit because after all, you’re a newbie and newbies deserve a few passes to figure out this etiquette stuff. It’ll be confusing in the beginning but keep practicing kindness and respect to others, the nuances will fall into place. Guideline # 1 – You’re a newbie, so own it. Get some space. Start out where there are less surfers trying to catch waves. Of course start practicing in the white water (check out Surfing. Starting Out for more details on surfing the white water). Once you are ready to go beyond the white water, try paddling to a space on the side of the main lineup (where experienced surfers line up to catch the best breaking waves). It will be obvious where the best waves are breaking because you will see a crowd of surfers sitting on their boards. On the side of the lineup there won’t be as many waves and the waves won’t be as big, but it’s okay because you can take the time you’ll need to paddle out, observe other surfers, and choose the right wave to catch. This also gives you the opportunity to catch waves that experienced surfers didn’t catch or try for. Guideline #2 – Know the right-of-way. Watch other surfers around you and know who has the right-of- way. If two surfers are going for the same wave, it is a general rule of thumb for the surfer who stands up first, to get the right-of-way on a wave. If you notice another surfer is footed first, back off the wave and let them ride. When this rule is not followed, it is called “dropping in” and it’s just plain rude to do intentionally. If you end up standing at the same time as another surfer, it can be tricky but there is a rule for this too. The surfer that is closest to the peak of the wave, has the longest ride, therefore they end up getting the right-of-way. As a beginner, you will not be competing for waves often, especially if you stay to the side of the lineup, but it’s good to know these rules because as the days go on, you will start to creep closer and closer to experienced surfers and will need to know the protocol. Typically, experienced surfers will notice that you are a novice and they will go around you and even sometimes let you have the wave all to yourself. Guideline # 3 – Hold onto your board. Do the best you can at trying to maintain contact with your board at all times. As you become a better surfer, this rule will become easier and easier to follow. You are going to crash, slide, slip, face plant, and nose dive off of your board, and you will lose contact with your board. When this happens, first cover your head for safety. Then get your composure, and get some air. Finally, grab your leash to pull your board back to your body. You want to get control back over your board as soon as possible so that you can keep yourself and others safe around you. Guideline # 4 – Apologize. Executing these rules at first can be challenging, but if you stay aware, you will know when you have broken them on accident. If it happens just say sorry. This simple gesture will go along way towards keeping the good vibes flowing. Experienced surfers know you are a beginner and as long as you are respectful and polite to them, they will understand that these mistakes happen. Safety, safety, safety! Knowing how to stay safe in this sport is going to keep the fun rolling in wave after wave. Etiquette is only part of it, you must know the element of keeping yourself safe even when you aren’t around other surfers. Rule # 1 – Cover your head. You will crash when trying to catch a wave. This is part of the sport and happens often, especially as a beginner. When you do crash, cover your head. Your surfboard is big and hard. You need to cover your head the best you can so if your board comes soaring towards your head, you can block it from hitting you. Put your forearms up over your forehead and face, and hold tight until the wave has calmed. Rule #2 – Fall flat. Falling is different from crashing because it is more of an expected action. When you know you are going to fall or are coming to the end of your ride, in order to fall safely off of your board, fall with your body flat on the water. You don’t want to jump off or dive off of your board because the water could be too shallow. You don’t know what is below you and you don’t want to find out with your head or feet. Falling flat will help protect your body and head. Rule #3 – Keep contact with your board. This is just like Guideline #3 for etiquette. Not only is it polite to keep your board close to you, it will also keep you and others protected. Do the best you can to keep at least a hand on your board at all times. If you do crash or fall, first get your barrings, then pull your board back to you quickly by using your leash. You don’t want your board flopping around in the waves in jeopardy of hitting you or other surfers. Rule #4 – Shuffle your feet. As you walk out in the water to start your surfing session there is a chance you could encounter a stingray. Stingrays like to hide in the sand during certain times of year, usually when the water is at warmer temperatures. You need to shuffle your feet in the sand. By moving your feet back and forth on the bottom of the ocean, you will move the sand and create vibration. This scares away stingrays and you will be less likely to get stung. If you ever do get stung by a stingray, don’t panic and get to a hot bucket of water as soon as possible. The sting will feel sharp and quite painful like a knife stabbed you. Hot water is best way to stop the pain. If lifeguards are around, they will know what to do, otherwise get back to your house or to the closest place that can give you hot water. Hot water will draw out the venom left by the stingray’s barb and the pain should start to subside in approximately two hours. Stingrays are abundant in San Diego, California during certain times a year. Ask the lifeguards in the area you are surfing what to watch out for in the water. Rule # 5 – Paddle and paddle hard! You might even hear someone shout this at you if they see you and know you are a beginner. If a huge wave is coming at you, too huge for you as a beginner to ride, paddle towards it and keep paddling until you can float over the top it. If you aren’t going to make it over the top you will need to turtle roll or duck dive through the wave. You want to avoid these big waves crashing on your head as it can be dangerous and down right annoying to recover from. Rule #6 – Don’t be afraid to just float. Waves can be intimidating for first timers. You may feel anxious about your next crash and scared to keep taking hits. Breathe and take your time. It’s okay to rest on your board and let the waves go by if you are not ready. When the waves just don’t feel right, just float. This is a good time to watch other surfers and think about surfing techniques you want to employ. Take this time to laugh, gossip, and reflect with friends. Don’t feel like you have to catch waves every time you go out surfing. Just by paddling out, you are learning and continuing your surfing journey. So now you know some etiquette guidelines and safety rules to get you started. It had to be done to maintain the fun. Okay yes, that was a dorky rhyme to make you chuckle after all this seriousness and remind you of the king rule of surfing – Have fun!